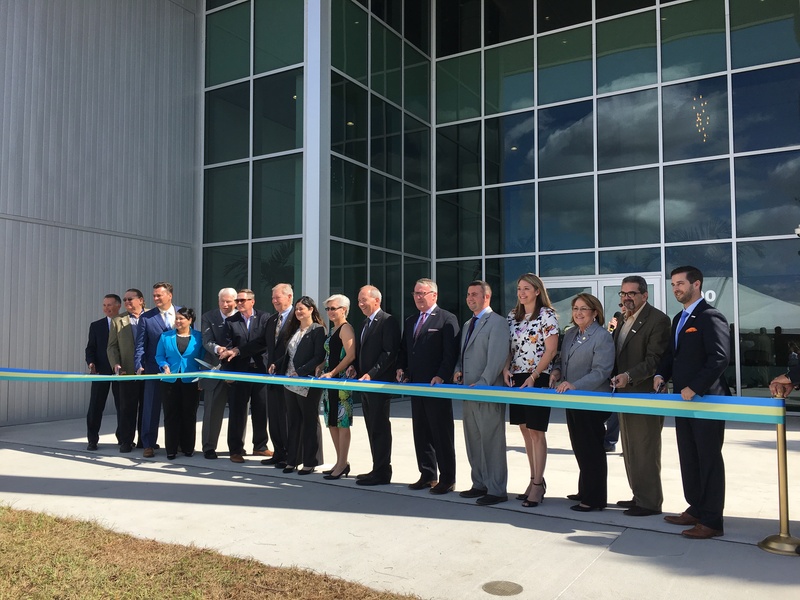 The Florida Advanced Manufacturing Research Center, home to BRIDG, was completed on schedule – 24 months after design began – and is ready to host new manufacturing technologies as the anchor of a 500-acre, master-planned site owned by Osceola County called NeoCity. The building’s dedication signals a new horizon for the region’s high-tech economy, and the site will be more than a traditional research park with its surrounding natural landscape, community connections and wide-ranging partnerships. BRIDG, a consortium led by Osceola County, the University of Central Florida and the Florida High Tech Corridor Council, offers partners and others the opportunity to share equipment and conduct research needed to profitably access the next-generation sensor economy – an area where UCF is positioned to lead the charge. BRIDG (Bridging the Innovation to Development Gap) is an acronym that captures the central mission of the innovative technology collective. The 109,000-square-foot facility will be one of the most advanced fabrication labs in the world. Since it launched in 2014, the consortium, formerly known as the International Consortium for Advanced Manufacturing Research (ICAMR), has provided a platform for advanced manufacturing development to “bridge the gap” between advanced research and cost-competitive manufacturing of new products tied to connected devices and the Internet of Things. BRIDG’s partners now range from a Belgium-based leading international hub in nano-electronics and digital technology to a home-grown photonics and smart sensor developer. Other major partners include Harris Corporation, Tupperware Brands, Argonne National Laboratories, Kissimmee-based Photon-X, Florida International University, University of South Florida and University of Florida among others. Learn more about NeoCity and BRIDG here.